Your hair is your crowning glory. That being said, it is easy to understand why most of us are afraid of hair loss. Both in the case of men and women, a lot of us surely fear losing hair, especially as a sign of aging. Fortunately, with the best hair growth products for men and women, such a problem that be easy to avoid. If you need help in saving your hair from an eventual disaster, you came to the right place. 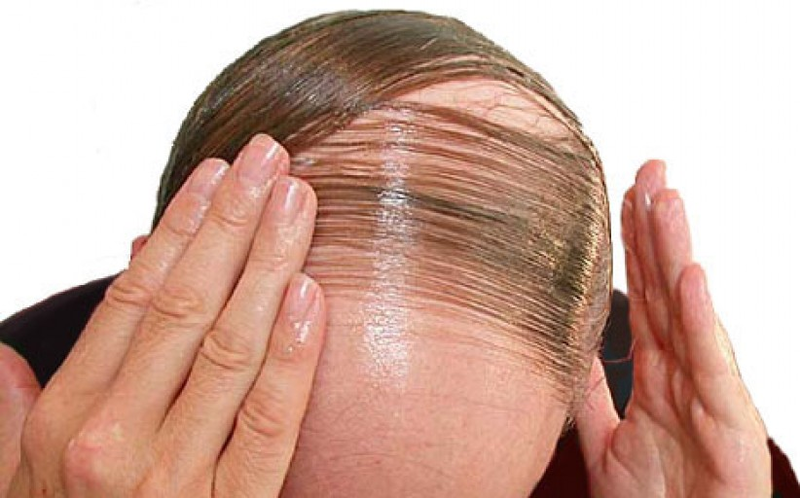 This is a comprehensive guide that is written to educate you not only about the products that are available on the market, but also the reasons behind hair loss. In the main section of this guide, let us look at some of the options that can be taken into account, as well as a few of the top-rated products that can be effective in addressing the problem. To find the right treatment option for you, there are several factors that have to be taken into account. For instance, your budget is one of the main factors that will help in choosing which treatment option is the best. Also, you have to learn from the real-life experiences of other people to determine the effectiveness of different methods that are available. More and more people are doing their nails at home. Everything you need from polishes, gels, and manicure tools are available for purchase on the internet. Not sure how to do your own professional looking manicure and polish at home? There are many sites that have information and guides to show you how to take stunning scenery, shimmering nails at home. Today we show how do your nails yourself; your friends will think you just treated yourself to a polish and manicure at the nail salon. Removal of all nail polish and cleaning the nails thoroughly. Push the nail cuticle back surrounding the nail plate. With a 240-grit nail file shape the nail. Using a nail buffer block buff, the nail lightly. Using your nail cleaner and a lint-free wipe remove all dust off the nails and wipe the nail with nail cleaner. Apply your nail base coat with a light application making sure to seal the edges of the nail. Be careful that the base coat gel does not touch the cuticle. If the gel does touch the cuticle, later you can remove the residue with a wood cuticle stick. Now it’s time to cure your nails. Place all your fingers in your UV nail lamp for one minute or LED lamp for thirty seconds. Apply a thin application of kiara sky gel polish Color from cuticle to free edge, making sure to seal the edges. Again, place all your fingers in your UV lamp for two to three minutes or thirty seconds for an LED light. Apply the Gel Polish to the nails again and repeat the drying under your UV lamp or LED light. Using your Gel Polish Top Coat apply a light coat from cuticle to free edge. Place the hands in the UV light for two minutes or thirty seconds for LED light. Remove any tacky top coat residue with nail cleaner and lint-free wipes. Using cuticle oil massage, the cuticle oil to the skin surrounding the nail. This oil keeps the cuticle soft and nourished. Clean and disinfect your instruments thoroughly if previously used for other people. This sterilization process will help you avoid of nail fungal treatment due to infection from previous users. 1. Try not to wear too tight shoes or any tight footwear. Shoes that are tight can choke out nails, and can trap sweat and dampness. This is a standout amongst the most vital nail care tips that can help you maintain a strategic distance from diseases. Before cutting your nails, soak your toes in warm water and salt. Toenails are super thick and this makes it very difficult to cut them. Your nails will absorb the salt and water, become soft and you can cut them easily. 2. Try not to nibble your nails or the skin around them. Constantly biting your nails can and the skin around them is awful for two reasons-you are ingesting hurtful microscopic organisms that can get you sick and you are uncovering the sensitive area around your nails to microorganisms that can cause diseases. This can prompt puss development around the nails and difficult contaminations. 3. Do not use nail polish remover more than 3 times a month. 4. Avoid chipping your nail polish off. Your feet are two of the most mishandled and frequently utilized parts of the body, what with all the strolling and running that you do all the time. Figure out how to nurture your feet and toenails by having great hygiene, pamper them to recuperate soreness and calluses and getting treatment when necessary. 1. Make a point to wash your feet day by day. Your feet have a tendency to get sweatier and dirtier than different parts of the body, so it’s essential to have great sanitary propensities. Wash them with cleanser and warm water. This will purge your feet of sweat, dirt and microscopic organisms that could have made there their home. Give extra attention to the spaces in the middle of the toes. Wipe your feet delicately with a towel a short time later. Keep your toenails spotless too. In the event that you stroll around wearing shoes in the late spring, you may find that your toenails get grimy. Set aside the opportunity to clean them each time you bathe your feet.